California is the only state in the nation with a constitution requiring a vote to build publicly assisted housing. California has a reputation as a progressive state, but its constitution makes it harder to build new affordable housing than in any other state in the country. In December of last year, California lawmakers introduced a bill to repeal that legislation; which if passed, would go to a public vote in 2020. The California Constitution’s Article 34 requires a local public referendum to approve publicly assisted housing. The issue is that it has been used as a tool to support “Not-In-My-Back-Yard” (NIMBY) ideals, which has been a problem for developing affordable housing throughout the country. It has delayed project starts and added millions of dollars to project costs. In the midst of a severe homelessness and rental housing crisis, California lawmakers are now advocating to repeal Article 34. California is the only state in the nation with a constitution requiring a vote to build publicly assisted housing. Article 34 prohibits the development, construction or acquisition of low rent housing by any state or local public body, without being approved in a public referendum. For decades, California communities have used the referendum process to reject affordable housing proposals. Even when Article 34 votes pass, they add enormous costs to affordable housing and seriously slow development time. A recent article in the Los Angeles Times notes that the legal and administrative work needed to do an Article 34 referendum adds between $10,000 and $80,000 in extra cost per apartment. From 1950-1969, nearly half of Article 34 votes were rejected, representing about 15,000 units. Many housing authorities did not hold project elections because they feared that their plans would be rejected at the ballot box. Although court decisions over the years have made it easier for cities to work with Article 34, it still keeps many projects from starting. By the early 1990s, 80% of Article 34 votes were being approved. One thing that made it easier is cities can now sponsor a vote that sets a limit for new affordable housing units, rather than have elections for every individual project. But if cities build new affordable housing up to their limits, they still face having to do another uncertain election to propose more housing. Supporters of the original proposition in 1950 argued that public housing projects, like roads and schools, should require a vote because they could create public debt. They said it was a matter of local control of taxpayer dollars. But many of the arguments made to support Article 34 were aimed at keeping communities segregated. Newspaper ads by the state’s realtors association at the time blamed “minority pressure groups” for pushing public housing and made claims that new low-income residents would depress property values. Voters in California have rejected three attempts to repeal or revise Article 34, most recently in 1992. Article 34 was also challenged in court, with the U.S. Supreme Court upholding the provision in 1971. Writing for the majority opinion, Justice Hugo Black noted that while Article 34 put low-income people at a disadvantage, it was legal because no racial group was singled out. The irony of having Article 34 in the state constitution is that Californians are being hit hard by affordable rental crisis. The boom in the technology sector has contributed to skyrocketing housing costs, and with it more homelessness. The majority of renters in the state pay more than 30% of their income for rent, with one-third paying more than half their monthly income. Low-income renters face even more burden, with 80% paying more than 30% of monthly income for rent, and 55% paying more than half their income. California has the highest percentage of unsheltered homeless persons in the country, at 70%. Responding to the need for rental housing, the legislature has strongly funded state affordable housing programs for decades. Voters also continue supporting statewide bond measures to fund new affordable housing and address homelessness. In the 2018 midterm elections, California voters approved a $4 billion bond measure to fund new affordable housing. They also approved shifting $2 billion from an earlier bond measure. These funds will provide homelessness prevention housing focused on persons with mental illness. 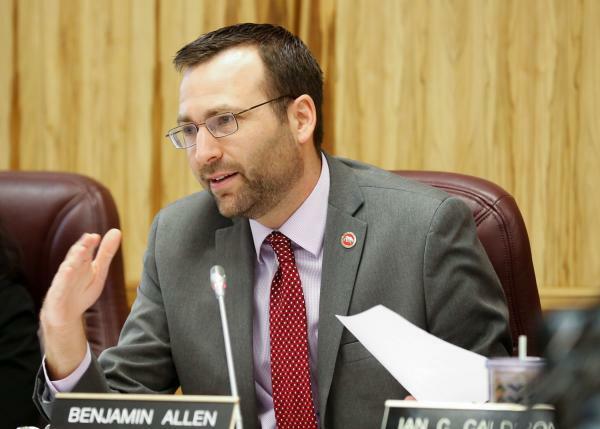 State Senator Ben Allen (D) introduced the repeal of Article 34, co-authored by Senator Scott Wiener (D). 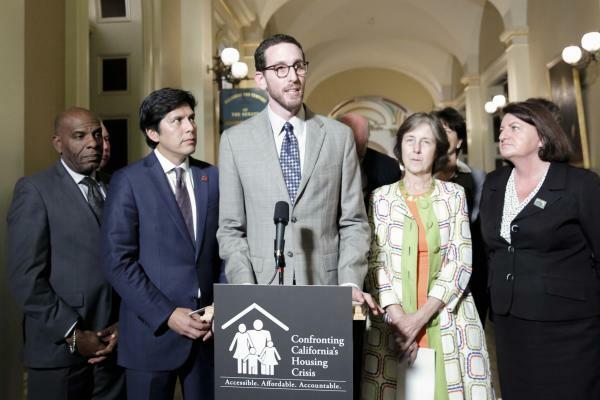 Given the state’s affordable housing needs and the public support for affordable housing programs, lawmakers have again looked to repeal Article 34. State Senator Ben Allen (D-Santa Monica) introduced the repeal, co-authored by Senator Scott Wiener (D-San Francisco). The measure also has the support of Eric Garcetti, Mayor of Los Angeles. Repealing Article 34 will not be easy. 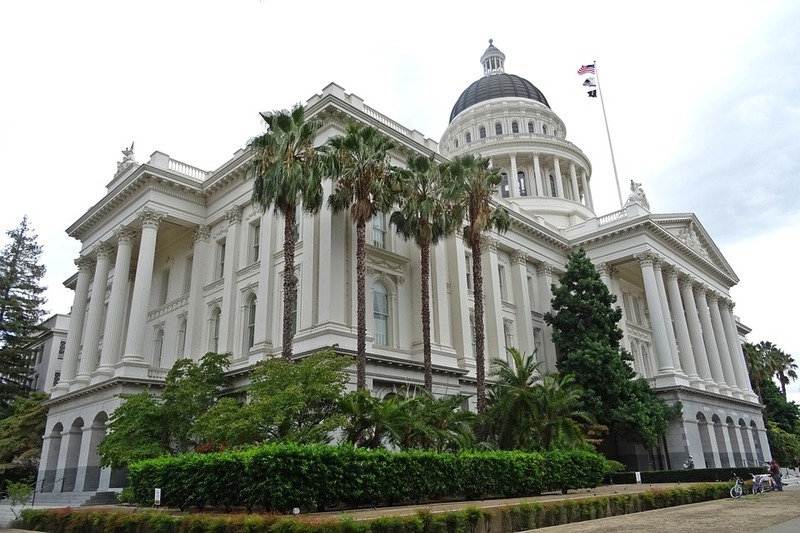 Two-thirds of the California legislature must approve the measure, as well as the Governor. If approved, the proposal then would go to voters as a ballot initiative, likely in March or November 2020. Democrats control about three-quarters of California’s Assembly and Senate, so the real challenge will be when the repeal measure faces the popular vote. Low-income renters in California will greatly benefit from the repeal of Article 34. Local communities will no longer have a legal “Not In My Back Yard” tool to limit new affordable housing, homeless shelters or transitional housing. California renters should tell their state legislators in the Assembly and Senate to support the bill repealing Article 34. Come 2020, it will also be critical for low-income renters to get out and vote for the repeal initiative.